Implicit in this definition is the assumption that drug users are only those folks that smoke, sniff, ingest, shoot, or otherwise consume a substance into their bodies. This is confirmed by the image that accompanies the article. But this definition seems inadequate. Indeed, the top five results from Google seem to confirm this. Unity Recovery Center is using the addictive properties of drugs to craft recovery and rehabilitation programs, and to make some money. The informational websites are products of various professionals and freelancers using drugs to share their knowledge about drug abuse and addiction with those suffering directly or indirectly from the problem. This begs the question, would pushing “user” beyond our basic, knee-jerk conception of the term (as a legal or illegal imbiber) lead to unique and interesting pathways to a better understanding about how drugs are used, and more importantly, does it offer possibilities to recover the lost voices of those recreational users long hidden from the historian’s gaze? To be sure, I am not the first to ask this question. Claire Clark has argued here, and Brian Hererra here, that drug abuse and addiction has become a boon to the rehabilitation industry which depends on drug use, and abuse, for its existence. Studies on the drug war frequently examine how drugs are used by policy makers and media types to push their agenda. The social construction of problem drug users is not new and may find theoretical origins in Philip Jenkins’s 1994 Using Murder, which examines how “claims makers” used the phenomenon of serial murder following the Dahmer case, to push various social, economic, and political interests. Still, the question of “the people” is still obscured by this focus on the rehab industry, policy, and on claims makers. To recast these arguments to help us find, say, a recreational cannabis smoker in the nineteenth century, I argue that it is necessary to reconceptualize what it means to use the substance and to find parallels between the experience of recreational users and others who cultivate, study, and write about the drug. 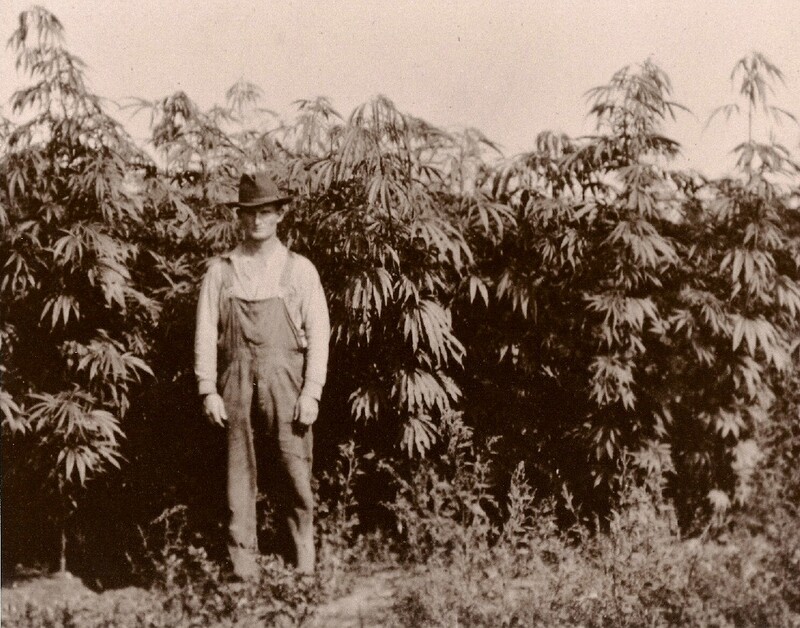 Finding these parallels offer historians possible windows into the previously obscured voices of those (perhaps less legitimate) cultivators, students and authors of cannabis. For example, we can reasonably surmise that folks who used cannabis in the nineteenth century or even in the 1930s, obtained their drug from a trafficking network that began with an individual pulling a plant out of the ground. We also know that whether we are talking about industrial hemp or medicinal cannabis, that legitimate channels existed that also began with an individual pulling a plant out of the ground. Where do these two networks meet? How, and at what point, do agricultural techniques of legitimate hemp farmers in Kentucky bleed into the agricultural techniques of recreational user networks? And how can developments in botany in the twentieth century transform the cultivation of illicit cannabis during the same period? He’s hoping no one else figures out how to do this. This is not to say that any methodological approach that emerges from these questions will yield more productive results in a search of the history of recreational cannabis use than have already been found in archives. But the larger significance of these questions may provide impetus for historians to consider them in their work. We very often approach the hidden voices of groups that don’t leave written records as outsiders, very consciously “reading against the grain” to answer difficult historical problems. But to me, as productive and useful as this methodology is, I think it only exacerbates the distance between the historian and his/her subject. To maintain that important element of connection in historical research, we might consider adding new types of evidence, evidence that we can read “with the grain” or indeed, parallel to it. We might find that it yields surprising results for social and cultural historians in their continued efforts to find “the people” in their work. Bob, a terrific post. Completely agree with your observations. What keeps us from following users? Obviously the archives are heavily weighting toward control efforts, both policing and treatment. Unless users were objects of interest to one or the other (or both) of these systems, they show up infrequently if at all in the archives. Moreover, historians themselves tend to be as interested (if not more so) in the control systems than in the user experience itself. Maybe that’s because of what the sources have to tell us? Maybe. So these two things work together to produce scholarship that generally misses the processes of consumption (and consumerism), especially on the drug side of the ledger. We’re better on the alcohol side of things…I think. Otherwise, for drugs historians, it is as if the revolutions in the history of consumption never happened (and those “revolutions” are already getting a bit long in the tooth), to say nothing of basic sensory experience. Would be interested to see if we can get a discussion going here in the comments. This is, to my mind, the next significant frontier for historians of drugs. Thanks for your thoughts. I am approaching these questions in much the same way as scholars began to approach consumption in general. Speaking of alcohol, Madeleine Powers’s wonderful book on working class saloon culture has been an inspiration to my work. I especially appreciate Powers approach to her research questions. Starting by consciously stripping the saloon of its baggage…to view drinking as a common social activity and not to essentialize it as a form of escape or rebellion. We have some anecdotal knowledge about “tea pads” in the historical record, so there is another parallel, but the tea-pad’s function in a place like New York is virtually nonexistent compared to its saloons. Exciting post, Bob. Appreciate the shout out and the link to my earlier post. Great to know there’s more of us out there working on 19th/20th century cannabis users. I’d certainly like to suggest that many of those doctors I referenced were also recreational users of cannabis. Sure, they generally discussed the effects in the context of medicine and science, but there were certainly exceptions to that as well. As such, I’m interested in the types of users and accounts you reference here. 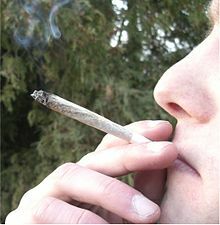 I’m also interested in the varied perceptions of use and abuse, particularly when it comes to cannabis products – i.e. medicinal cannabis preparations (generally liquid) vs. smoking or ingesting hashish. I’d love to touch base on what you’ve found. Thanks. I really enjoyed your piece and was equally enthusiastic finding someone with shared research interests. I’m familiar with a few of the accounts you referenced. I’m sure you are aware of one of my favorites, Victor Robinson’s “An Essay on Hashish” from 1912. His account really blurs the line between a proving and a recreational account (as Walter Benjamin’s accounts completely break the mold). Thinking about where the line exists between proving and non-proving (if you will) might be instructive. The fact that these two are twentieth century figures perhaps attests to the shifting status of cannabis among intellectuals and physicians during this period.